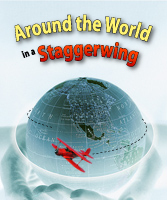 The Staggerwing has a fascinating history that is richly illustrated in the books, The Staggerwing Story and Beechcraft Staggerwing. Both books are readily available. has portrayed their story candidly in the books listed below. My God! It's a Woman!